Entertain guests at a Halloween party with this classic Halloween Pumpkin Pinata. 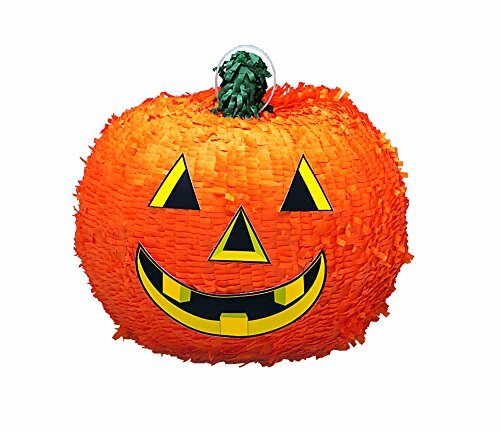 Shaped like a smiling jack-o-lantern, this pinata is the classic party game that every guest will love. Fill it with up to 2 pounds of candy and party favors and then let blindfolded guests take turns trying to break it open with a bat or pinata stick. Before the festivities begin, this pinata also doubles as a great party decoration.